I don’t post a whole lot (I’m a great lurker! ), but the excitement is high today. My wife and I have both had separate talks with mechanics this year that basically boiled down to “You can spend X times the car’s worth in repairs, or you can sell it”. Her car is an Optra, and I will not shed a single tear for that pile of hot garbage. 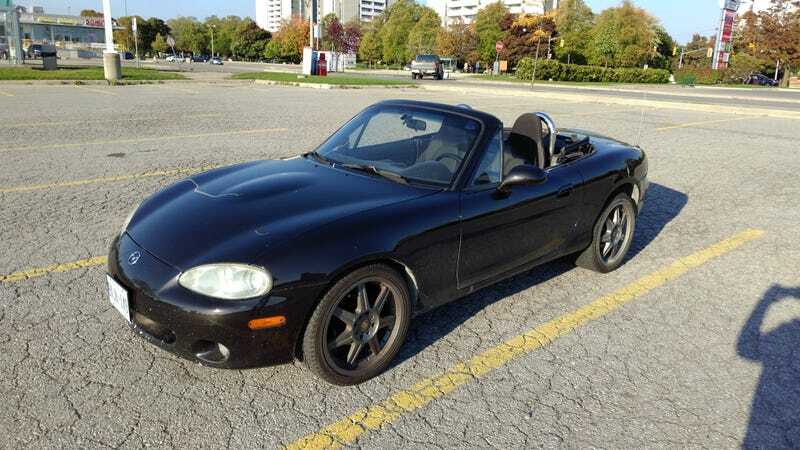 However, the other car, is my NB Miata. I love this car like it’s my child, and having a respected mechanic suggest that I sell it was the most depressing news I received all year. So with 2 out of 3 cars on the chopping block, I jumped at the opportunity to exercise some retail therapy. We’re keeping my Mazda 3, which still proves to be a great daily driver, but I had to quickly destroy any of my wife’s hopes to get a small SUV. Since we’re 2 people going down to 2 cars, I needed something to drive in the winter. This rules out a soft top convertible (and oh boy did I want an ND2 Miata GS with the sport pack, in Soul Red please). ND2 RFs were off the table since they approach $50,000 CAD. (!!) I made a post griping about the cost disparity years ago, but it appears it was sacrificed to the Kinja Gods, and I can’t find it anymore. So I did the next best thing, a brand new 2018 BRZ Sport-tech RS. Brought it home on Thursday. I never planned on purchasing a new car at this stage in my life, but my wife was very understanding and she knew how much it meant to me. We were trying to save for a house that has a garage/basement (our current house has neither. Never buy a house that doesn’t have these items. TRUST ME. ), and I slowed that process down considerably by making this purchase. First and only mod for the foreseeable future is the relocated front plate. I’m looking forward to many many years of rust-free ownership (pls Subieroo don’t rust pls!). If my gen2 Mazda 3 is anything to go by, I can probably daily this for 10 years.